In 2018, passenger numbers on Brussels' public transport operator Stib was up a record 4% - about 16.6 million additional trips on metros, trams and buses, bringing the total number of journeys to 417.5 million. This came after an already significant increase in usage in 2017. Publishing its full-year figures, Stib said it had added many new features in 2018, including its first line of fully electric minibuses, new tram line 9 and the extension of tram line 8 (formerly line 94). The year also saw the opening of the new Marconi tram depot in Uccle, a new mobile application, adding electric buses to line 13 and the ordering of 175 new trams. Many plans for 2019 are in the works for Stib as well. 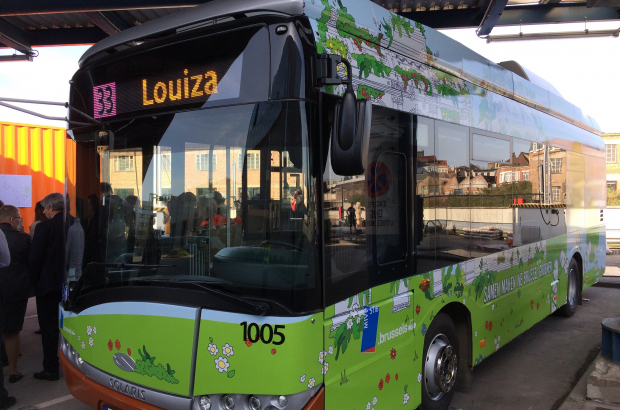 It plans to introduce 251 hybrid buses and reorganise the bus network, add the first M7 metro trains, renovate many existing stations, extend the metro into the north of Brussels and change uniforms. 2019 will also see the Brussels public transport operator celebrate the 150-year aniversary of the tram in the capital. Brussels mobility minister Pascal Smet is pleased with the growing use of Stib, saying that this is a reflection of changing habits by Brussels residents. Can it be that people pay more due to new entrances in many stations so actually number of paying customers increased?